So I've had the opportunity to try out some products from the brand Arbonne and have used them to create a very simple look suitable for daytime wear. 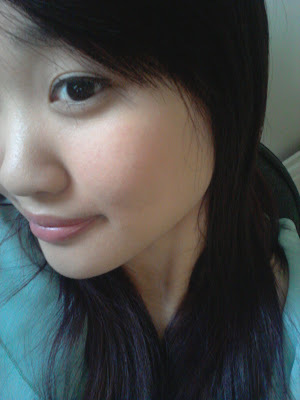 My makeup style is fairly natural/neutral, however you like to call it. I love looking fresh and youthful and although I admire bold, colourful makeup on others, sometimes I feel that simple is best for me and the only 'drama' I like to have on my face is my winged eyeliner and lengthened, volumised lashes. As you may already know, I am highly influenced by Korean/ulzzang makeup style where eyeshadow is not always a must and thick/straight brows are preferred over thin/arched ones. Whenever I see makeup products in black cardboard packaging with white writing, I instantly think of high-end and that's a good thing. It makes me think that these products would be of high quality due to how... 'professional' they look. Examples of other brands with packaging like this are MAC and Inglot which I have heard are pretty good in terms of quality. 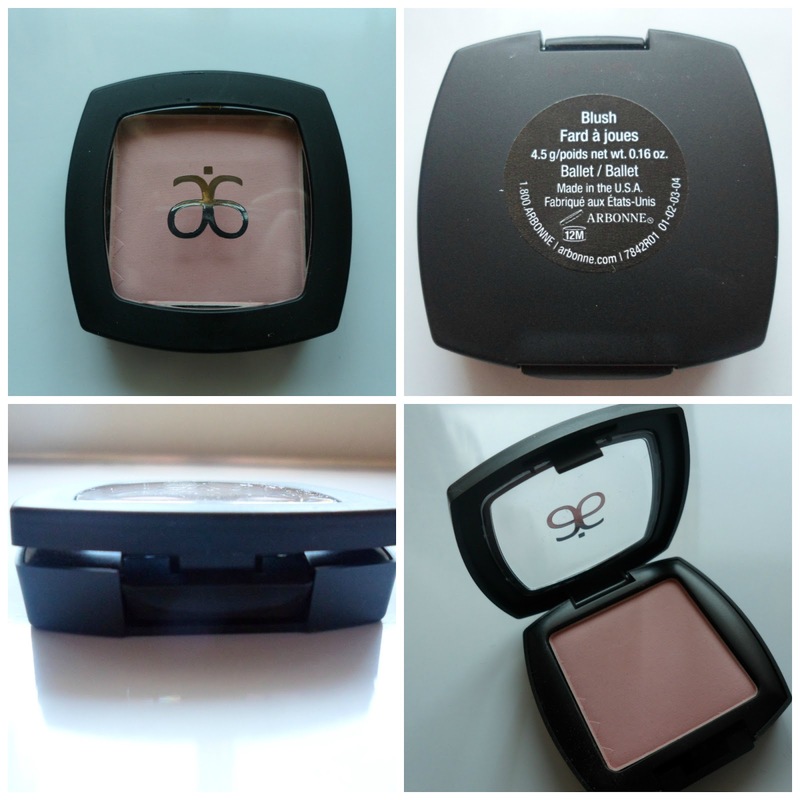 First impressions always last and my first impression of Arbonne cosmetics was that they'd be great to test out. They started out in Switzerland in 1975 where Arbonne's product line aimed to fulfill the vision of having products that naturally enhances your beauty and well-being and at the same time, be pure, safe and beneficial products to use. And that was what they achieved with their skincare and cosmetics line. I like to work my way down so let's start with a product for the eyes - mascara. Knowing that this product 'cares' for my lashes is great and many mascaras out there don't highlight any particular ingredient that is beneficial for eyelashes, and I actually think that that's quite important. Not only do you want to look your best but you'd also want to know that the ingredients in a cosmetic product are safe and suitable, right? That is usually what differs between standard and high-end cosmetics and their prices. It did define, lengthen and volumise my lashes as it claims and I'd say that it gets a tick for being smudge-proof and long-lasting. However I wouldn't say that this is the best mascara that I've ever used. I have used ones that have ticked more boxes for me and were a fraction of the price. But about the ingredients of other mascaras, I wouldn't be able to compare them to this one. So really it does come down to personal preference - a mascara that does more but has no key ingredients to condition the lashes or one that does less, is still good and can be seen as less 'harmful' due to its special formula. I would recommend this mascara to those who are interested in using makeup products that are safe, beneficial and have quality. Before I start talking about the blush itself, I want to mention the packaging just briefly. Yes it looks like a typical blush but this case has a button to help pop open the lid and it clicks back nicely when you close it. Not like those typical blushes where you manually prop open the lid (where it is prone to opening accidentally on its own in you bag or something). 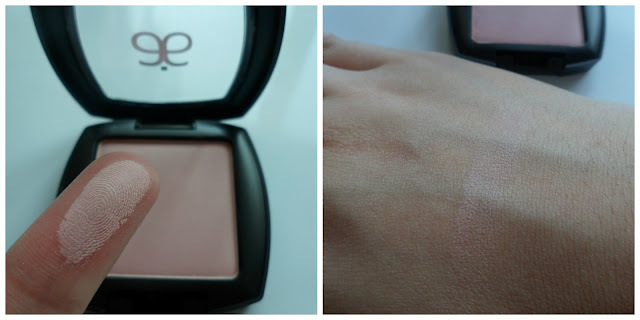 It's a gorgeous pale pink and as pretty as it itself may be, I found that it wasn't the best match for my not-so-pale complexion. I did manage to snap a picture of myself under bright lighting to see how it looks like on me but I reckon if you saw me in person, it would definitely be less noticeable. With many vitamins, minerals and cucumber extract, I would recommend this product for sure! It states that it is suitable for all skin types which is great. The colour is beautiful and I would love to see this on someone who is more pale than I am. Wow, the lipstick is very hydrating, and the fact that both the hydration and the pigment is buildable is perfect! I find that my pigmented lipsticks are a bit drying as they only require one 'coat' which I guess isn't sufficient for giving my lips moisture. This lipstick feels more like a lip balm as it makes my lips feel smoother and softer. The thinner-than usual-lipsticks tube is actually what I prefer because it makes applying a lot easier and more precise. I know that using a lip brush is much more accurate but... ain't nobody got time for that? Kidding hehe and yeah I just use lipstick directly from its tube because it's quicker. A pucker-up test. See how hydrated my lips look and how the lippie isn't cracking? I can't comment on its lasting power as I didn't do any tests but with a lippie so gorgeous and moisturising, does it really matter how long it lasts before reapplying? I say no, absolutely not! In fact, I'm totally cool with reapplying this because it feels and looks great! So there you have it, three lovely products from Arbonne that I have reviewed. Hopefully this was an interesting read and that you've learnt something new. In Australia, it isn't a well-known product so I thought that giving them a shoutout on my blog would help them out a bit :) And perhaps you guys could help spread the word! FYI I am not being paid to endorse, nor am I affiliated with them in any way. I am just very impressed, especially with their lipstick. 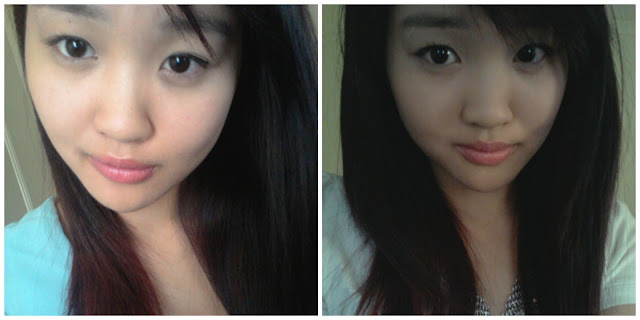 Which look do you prefer: Bold eyes or bold lips? P.S: Who shopped it up at Priceline for their 40% off sale?? I did! Thanks for the review! The lipstick especially looks so nice! And of course, I bought stuff from Priceline ;) 40% how could I resist. Ooh lovely FOTD and interesting review on the products - haven't tried the line before but it looks promising! According to research (somewhere), the first facial feature that people look at is the eyes. So assuming that is true, then more emphasis on the eyes in terms of makeup would be beneficial, no? Furthermore, with my single eyelids, I desperately need 'bold eyes'. I spent $60 at priceline noooo! I like Arbonne. I have their primer which is excellent, best primer I have ever used, and I had their mineral powder foundation, which has also been my favourite. I think the problem for me is the convenience - I can't just pop down to Priceline and get more. Haha. That's great to hear! You're the first I know to have tried Arbonne cosmetics before :) Yep definitely convenience is a bit of an issue - if only it were available in stores! What a beautiful post! follow each other?